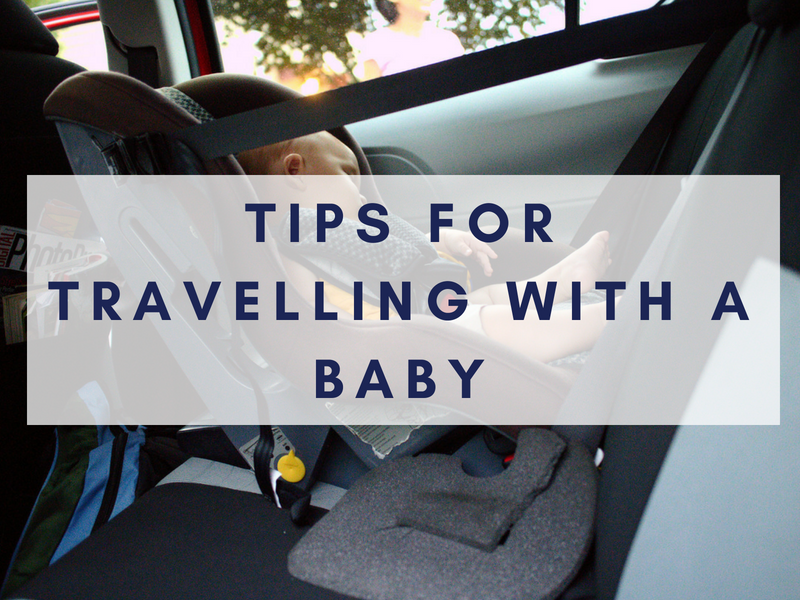 Travelling with a baby in a car can be a daunting prospect (especially for a long road trip) but as long as you are well prepared with our tips, it should go smoothly. The ideal car travelling set up is having someone sitting in the back seat with the baby. They can provide endless entertainment and be on hand to see what’s wrong if your baby starts to cry. However, this is not always possible for every (or even any) journey. The following items will help make the car journey more carefree and enjoyable for your whole family. 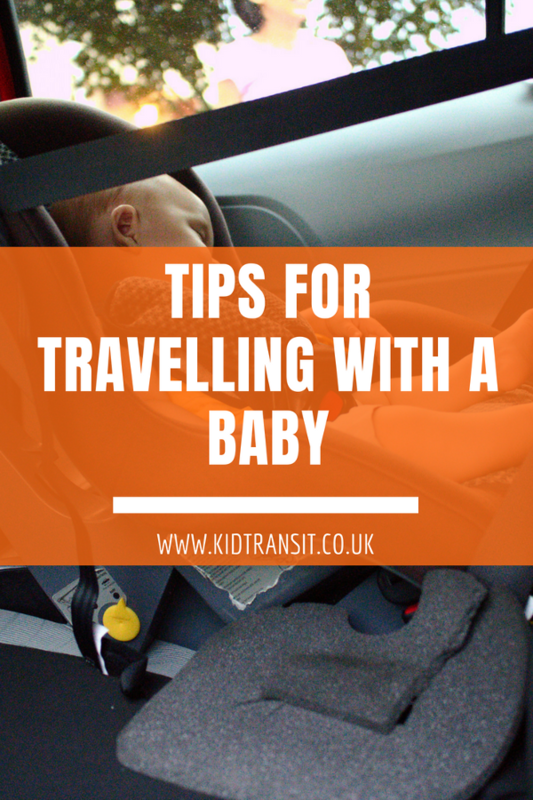 If you want tips for every type of journey then head over to our ultimate guide for travelling with children. Many countries, including the UK, have laws passed so that babies under 15 months travel in rear-facing car seats in the back of the vehicle. This is the safest travelling position for your baby and they should remain rear-facing for as long as possible. This can causes problems as neither the driver or passenger can see the baby. 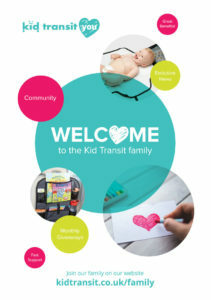 This is easily solved by fitting a baby car mirror like the one we sell at Kid Transit. It attaches, via two straps, to a rear seat headrest and will fit any car. It stays firmly in place and when positioned correctly it means you can easily see your baby by glancing into your rearview mirror. The mirror is safe, shatterproof and very light as it’s made from acrylic rather than glass. 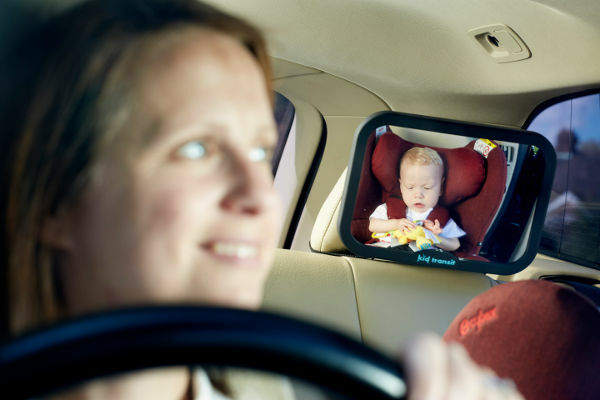 The large mirror gives the driver an excellent view of baby and baby will slowly learn that looking at the mirror will reward them with a view of Mum or Dad. Using sun shades for the car windows not only protects your baby’s eyes and skin from sun damage, they also ensure that the bright sunlight doesn’t interfere with that essential nap. The one that gives Mum and Dad a little breather while driving. There are many to choose from. They usually have suction pads for easy installation and come in various designs to entertain your baby. There are static blinds and retractable blinds to choose from. The retractable blinds can stay on the window, to be pulled down when necessary. They can also be used on various sized windows. There is nothing more distracting and upsetting when driving than a crying baby. Car journeys frequently don’t go as planned – there may be roadworks, an accident or just sheer volume of traffic which makes your journey much, much longer than you anticipated. Take a bottle of milk (breast or formula – your choice) and, if your baby is already on solids, a jar of food, so should you be delayed, you will be able to feed your hungry, crying baby. Many car bottle warmers will not only heat bottles but jars as well. Simply place the bottle or jar into the warmer, plug it into the cigarette lighter slot and wait for the required number of minutes. Several of the car bottle warmers come with lit up displays for easy use at night. 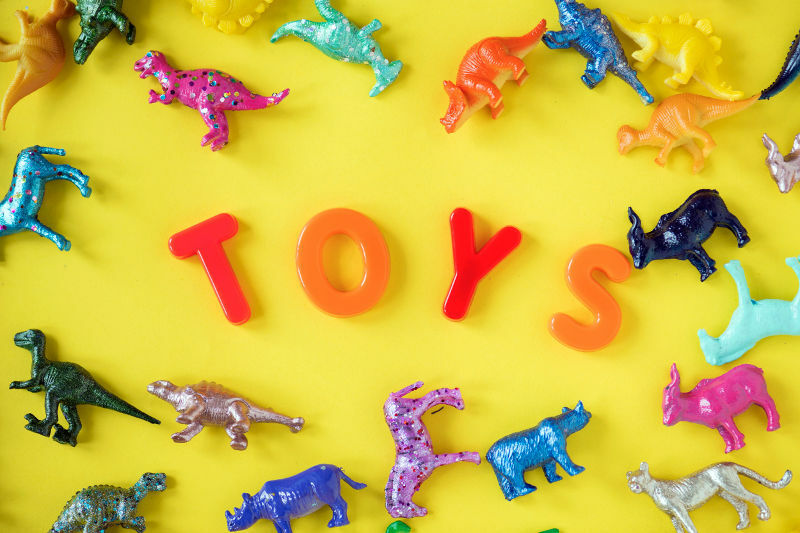 Pack baby toys such as teething rings, plastic keys, rattles, and of course their favourite soft toy. If possible attach them to the car seat, so you don’t have to stop every two minutes to pick up the favourite toy that has just gone on the floor for the tenth time in the last 30 minutes. We always made sure that some spare nappies and wipes were in the car with us for every journey. You don’t want to realise that the one time you’ve forgotten the changing bag is also the time your baby has decided to do a poosplosion in heavy traffic on the M4! With spares always in the car (even if the nappies are a bit small as they’ve been in the car so long!) you can feel a bit calmer as you set off. 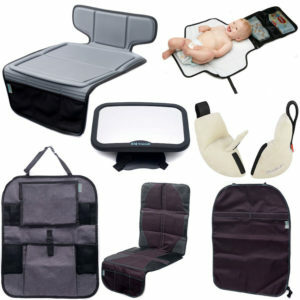 Car organisers simply attached around the front seat and keep all your baby’s essentials in one place. A perfect place for the spare nappies, wipes, and also any bottles, cups, or toys that you’ve bought along. 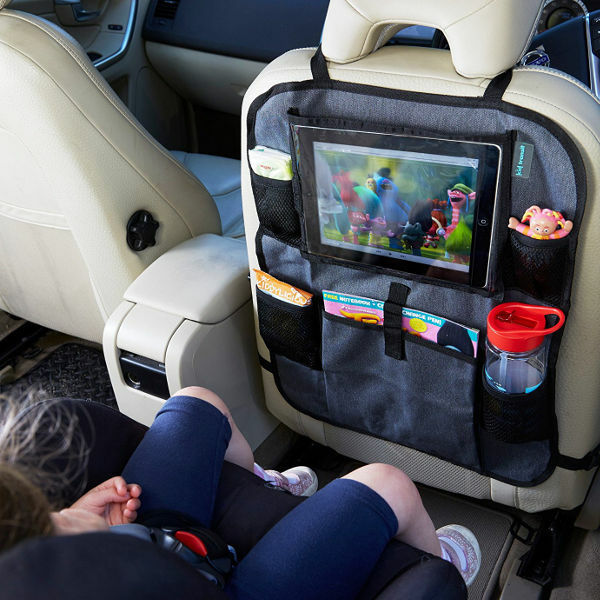 Kid Transit also do a great car organiser that has space for a tablet so when your child gets a bit older and is in a forward facing car seat they can be kept happy watching their favourite shows. It’s a good idea (especially for long trips) to make sure you have a means of topping up your phone charge when you’re on the road. Either a car charger stashed in the glove box or a power bank to give a bit of extra juice. This means you’re always sure to be able to make a call or two if your car breaks down on the way. If you also use your phone as your sat nav this makes it even more likely that your battery may run down during the journey. This is the one thing we always forget and it leads to our car resembling a tip by the end of a long road trip. With a rubbish bag easily to hand any wrappers can go straight into it. Even if you don’t remember to clear up as you go along, if you have a bag in the car with you, you can do a quick tidy round at the end of the journey. All those dropped raisins can go straight into the bin! Do you have any essential tips or products for making life easier when driving with your baby? Please leave your comments below!